With an impressive career exceeding 20 years, Sean Paul is a certified veteran in the music game. 2019 in full motion, the Jamaican artist has shown no sign of stopping doing what he does best - churning out hits. 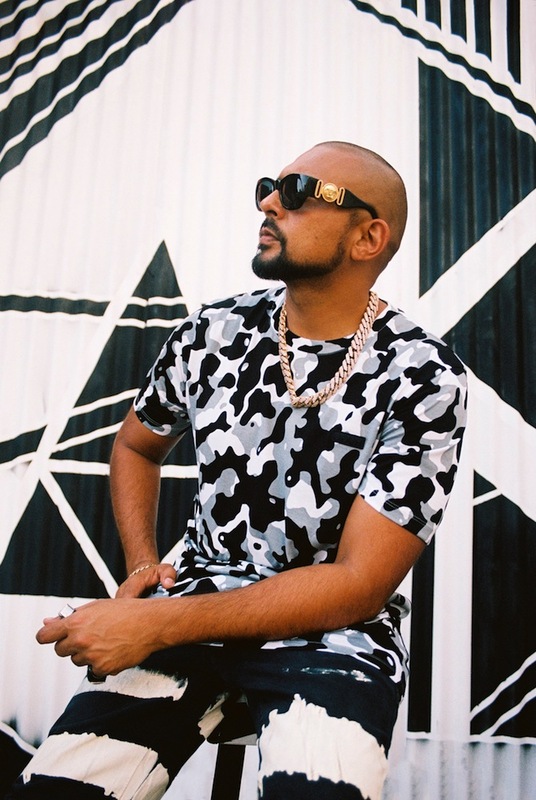 Sean Paul has carved out a career, spreading his dancehall origins across the globe. Very few artists possess the ability to work across multiple genres in the organic way that he has done. Incorporating pop, EDM, hip-hop to name a few, has proven his ability to be malleable whilst showing off his country’s sound. 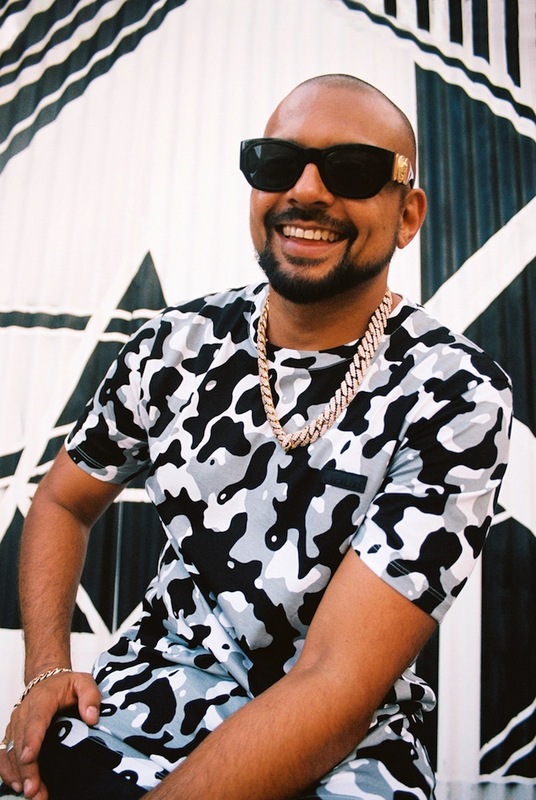 In the last five years alone, Sean Paul has given us ongoing hits with a variety of artists such as ‘No Lie’ with Dua Lipa, ‘Tek Weh Yuh Heart’ alongside Tory Lanez, not to mention a chart-smashing collaboration with Clean Bandit and Anne-Marie on ‘Rockabye’. Keen to work with UK artists recognising the breadth of its musical styles and talent, he's already collaborated with the likes of Little Mix, Fuse ODG and Sigala to name a few. Starting 2019 on a high with a new track 'Shot And Wine' the Jamaican artist has recruited Stefflon Don, who of course is also well on her own way to widespread, international success. 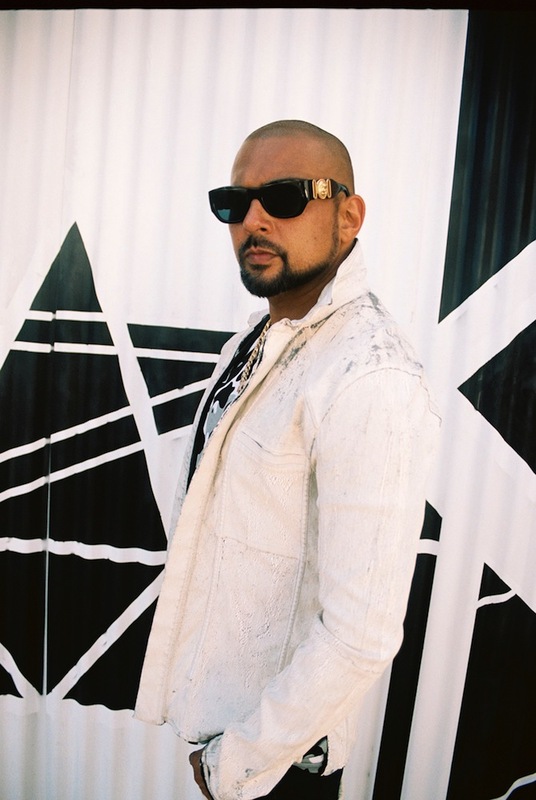 Clash caught up with Sean Paul to discuss his collaborations, his illustrious career that keeps giving, and today’s dancehall scene. So you have your new track with Stefflon Don, ‘Shot And Wine’. This collaboration seems like one that always made sense. How did it come about, and what was it like working with her? She’s dope. I heard about her two years ago. I researched her on YouTube, I was like, “Wow, that’s wicked.” I came to London and I was at the same venue with her for some show, and I was invited to come to studio, which I did. We did a first song that came out on my EP in September last year called ‘Jet Plane Trip’, it was something that we had done the summer before, and she had also asked me to do a remix of her song 'Hurtin’ Me' so me Sizzla and Popcaan are on that remix. So the relationship, from the beginning was one more closer than between most artists and me because she has the Jamaican roots so it’s easy to connect. We know people that she knows. So it was a good vibe, and we’ve become good friends since. I wouldn’t say best of friends but we’re a lot closer than I am with other artists. I can pick up the phone and say what’s up. This ‘Shot and Wine’ came about last year summer. We were trying to schedule a video to shoot for ‘Jet Plane Trip’ and it just never worked out due to scheduling, and all that stuff. I had kind of realised that the time had kind of gone for me, so when I get another idea, I’ll send it to her. This was something that I wrote in the summer. I think she came to Jamaica right before September and I’d sent her the song and she said she’d come visit me in the studio. She came through, and asked her about the song I’d sent her, and she said, “I really like it.” I asked her if she wanted to try it. It wasn’t really anything scheduled by management. It was more friendly, more organic, and so it’s pretty cool. And when I heard the hook we’d come up with, I tried a couple of different people and thought: She’s the one. She liked it. I left it up in the air and when she came to Jamaica, I said, ‘Try this song’. You’ve worked with such an array of artists from a number of different genres. How do you determine who you’d like to work with? There are songs like ‘No Lie’ with Dua Lipa, I kind of heard her on it. I pinpointed her. It was very good timing, because we got to her, and even the collab I did with Migos, we got to them right before things were about to kick off. So Migos didn’t have ‘Bad And Boujee’ out yet and it was a big song. Dua Lipa wasn’t the most streamed woman at the time. It was kind of cool timing. There’s some times where you just pinpoint, and say, “It’s definitely this person.” The stars align and strings are pulled and it drops all into place. With songs like ‘Mad Love’ it’s a little different. I tried a couple of different people, Becky G just stood out to me, how she sounded. Other artists, they’re huge artists but it just didn’t connect with me. I didn’t pinpoint Becky for that one, I sifted through different scenarios and she did it the best. I think it sounded the best with her. We’re now seeing a number of artists in the UK who are unapologetically bringing their Caribbean heritage into their music - people like Stefflon Don, WSTRN and Trillary Banks. How do you feel about this new wave of artists? That’s dope. If you look at hip-hop, when it was breaking out of the Bronx and started to be done by people in Miami, down South or the West coast, some people said, “It’s not from the Bronx, it’s not hip-hop.” Similarly some people in Jamaica might be like, “Why they all jumping on this thing?” Like a culture-vulture vibe. When in comes to these UK acts like Steff, they have roots in Jamaica, and it’s only natural for them to speak that way and include that vibe. So to me it’s a little different from the pop people doing it. I endorse it. It only shows that this music has grown so huge. It’s not going anywhere for now, it’s definitely the “in” type of thing right now. Is there anyone in the UK that you have your eye on to work with? Me and Stefflon Don again just did a song with Wiley, and Idris Elba, which is kind of crazy! I was like “Idris raps, he spits?” They were like yeah. He’s pretty dope on the track. I’m looking forward to that coming out, we’re shooting the video this week. I’ve also done a song with Konan [Krept and Konan]. I’m not sure if it’s out on his album yet, or if it is about to come out. I’m open to do different work with people. I’ve also worked with Fuse ODG in the past, which is kind of the afrobeat world. Bridging the gap for me now is important, I’ve proven myself in dancehall, I’ve become one of the go-to people when you want a dancehall sound on your track. Expanding my sound and expanding with fans is important, so I’m down to work with people from London. You have a phenomenal work rate, a career that spans over 20 years. Do you think you’ve worked out the secret to longevity in the music industry and if so what is it? I don’t have the secret and if I did have it I wouldn’t give it! It’s not a secret, I just keep my ears to the ground however that is, whether it’s bouncing ideas off of my team, a sound system and people I produce with or the artists I hang out with. It’s good to do that when you’re in the business and it’s one of the reasons I’ve been able to last so long. I know the steps almost even before that happened. I would hear one sound and hear that it’s heading this way, and let me look at more artists from that genre or let me look at producers from this kind of circle or whatever, that’s helped me a lot. Just knowing what’s happening out there, I’m trying to stay true to my roots and my sound, and also pushing the envelope with what’s happening today with music. You just celebrated your 46th birthday - Happy Birthday belatedly! How long do you see you career going? In dancehall world, reggae music too, I know Barrington Levy still tours, so does Toots [Hibbert] and they’re up in the years. So they inspire me, I would like to be able to say that I can last that long. I mean I have a huge following and I’ve been giving them what they want and what they need for me. I’ve had some surprises in the mix to. I think as long as I’m willing and still having that feeling in the studio because it starts there for me, that’s a high point for me and come up with something that I know that will be dope here or there, worldwide. I think that as long I am enthused in that respect I’ll always be able to put out music and have this career for as long as I’m…enthused! You’ve been able to fly the flag for dancehall, and maintain a commercial level of success. We recently saw that Popcaan signed to Drake’s OVO label. Do you think this is the right direction for dancehall artists to follow to gain exposure? There’s been quite a few. Sizzla once signed with Roc-A-Fella, there’s was a whole band of artists after me and Atlantic Records at the time, Baby Cham was signed to Atlantic so was Elephant Man. It did help all of those artists to become established international figures. I mean, Drake is huge so I think that’s just a great move for him. What I’d always wanted to see was, because we’ve heard about the musical relationship between the two for a long time but we didn’t really see any steps being taken, not that I think Popcaan needed it at the time. He’s been going from strength to strength. But because everyone has been talking about it, it was finally good to see this happen. He’s a talented kid, Popcaan. I think that he’s very charismatic. Kids are drawn to what he does. He can only go from strength to strength. Will it last? Will he become bigger than he is now? I think so. But it’s just for him to put in work and in this business. I think a lot of people think that the people who are on are always on, it’s not really true they just try more than anyone else. I know that Popcaan loves the music enough to go through all of the scenarios, he’ll come out on top, with or without OVO. I think he’s a great artist. Who are some of the dancehall artists that are making your playlists today? Well I’m definitely listening to Chi Ching Ching. He’s my artist and he’s actually signed to Unruly Camp which is Popcaan’s camp but I put out an album for him. We put out his first album in September and he’s been getting a great vibe from it. He’s somebody who is very charismatic and very energy-driven and he draws attention from a lot of people. He’s tall and his wordplay with lyrics is definitely unique so he gets everyone’s attention. Masicka is a huge artist in Jamaica who is getting bigger and bigger. He has one or two big hits, and a lot of underground bubblers. He’s considered a very good lyricist. There’s some new kids on the block – Rygin King and another kid named TJ. And they’re both from Mo’Bay [Montego Bay]. Originally, or traditionally most Jamaican artists are from Kingston, reason being because there are more studios there, most producers are there. But Mo’Bay is our second city and they are really coming up strong in the last two to three years. People like TJ and Rygin King, I think the biggest person from there is Tommy Lee Sparta. I’d also like to mention Shane O, he’s been around for some time, but he has got a few local hits last year. He’s a dope lyricist. I’ve started to produce a jugglin which is one rhythm with a couple of different people called ‘Gang Gang’ and that came out in the end of November. And I’m pretty much still promoting it at home. It’s just started to get a lot more play. It features myself and Spragga Benz, Konshens, Ishawna and Chi Ching Ching. But also younger artists such as Dan Java, Ras Ajai and Sotto Bless. These guys are our younger artists, they don’t have many songs out. But I know them and they’ve come and hung out at the studio. My focus is to continue my work as an ambassador for dancehall, but putting out singles that do well internationally but also to help to develop the gang gang at home, the people who I believe in their talent. I want to see more people like Chi Ching Ching, he’s the first project from Dutty Rock Productions. Hopefully there will be more scenarios that come out of production like that. That’s what I’m looking at for the future. Not putting aside my artistry but adding the role producer to developer and mentor.